My dachshund, Oscar, is a real cutie patootie. He comes by it honestly. Dachshunds are, after all, incredibly cute and chocked full of lots of personality. So when I asked him to ham it up for my camera with some holiday themed antlers on, he did his very best. He was tired from a long walk he had that afternoon, but after I promised him some biscuits, he perked up a little bit. In the end, he was a little tired of posing for the camera; something about feeling objectified or like a piece of meat. All in all, though, I like to think he had a pretty good time. One thing I can tell you, my little Oscar makes one darn-cute reindeer. Rudolph better watch his back. We wish you a Merry Christmas. 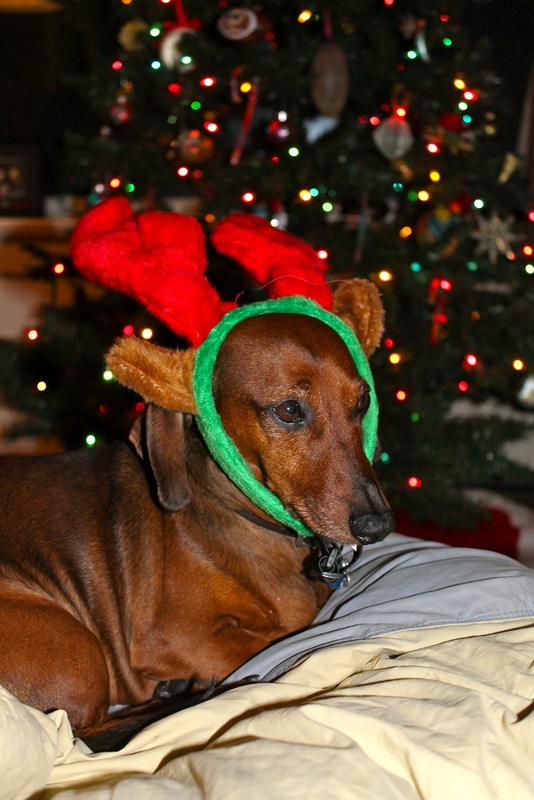 Here's Oscar's editorial picks from his "Little Reindeer" photo shoot.